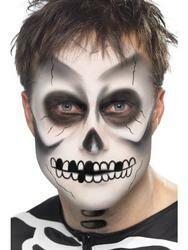 If you are looking to make a massive impression at any fancy dress party then this is the costume for you! 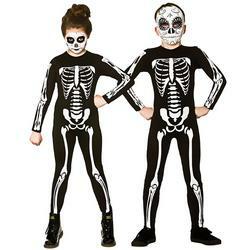 The glow in the dark skeleton costume is sure to be remembered for a long time thanks to its amazing features and detailing. 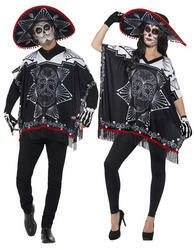 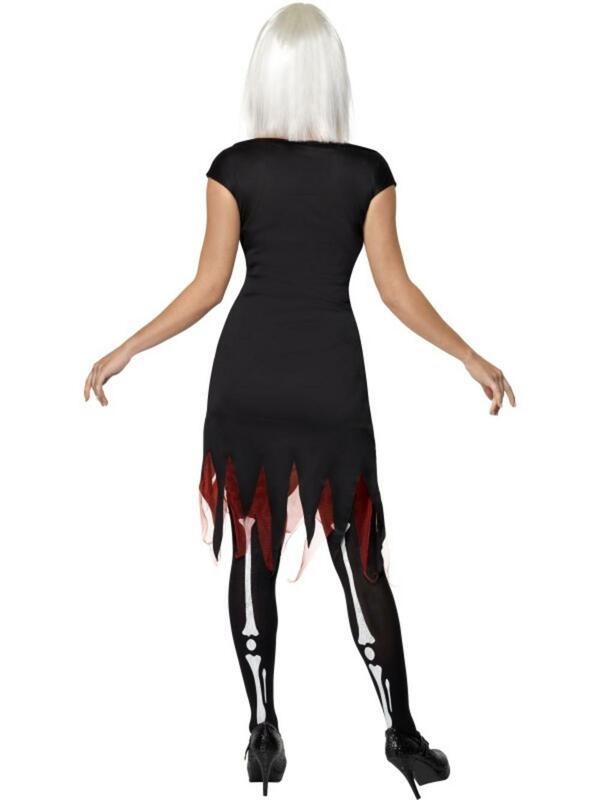 The costume comprises of a long black dress decorated with a glow in the dark skeleton bone print and jagged hemline to the skirt. Completing the amazing costume is a red led light up heart attached to the top part of the dress. 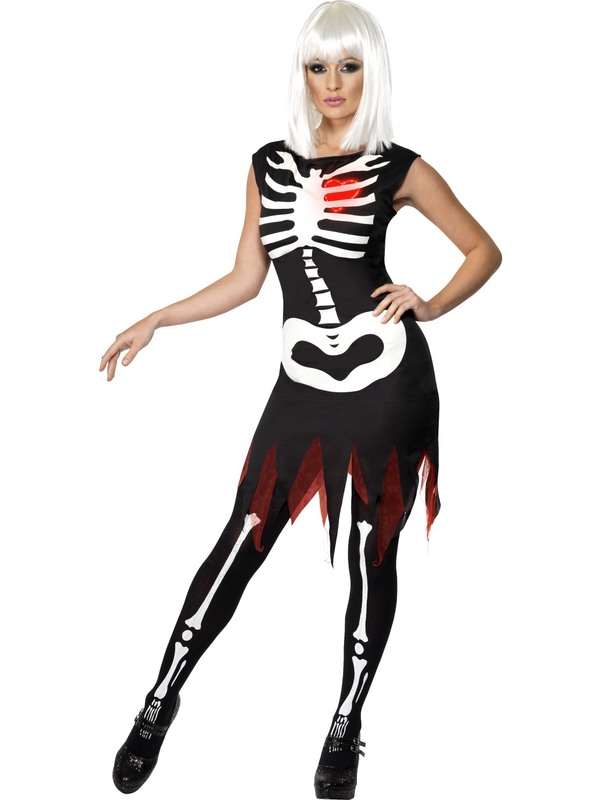 An amazing costume sure to turn you into the spookiest skeleton around. Black dress with glow in the dark skeleton bones print, jagged hemline and Led heart.